The Glen Hay Falconer Foundation - dedicated to the craft beer brewer in everyone. In collaboration with the Seibel Institute of Technology, the Glen Hay Falconer Foundation is offering two full-tuition brewing education scholarships in 2019. Both scholarship are full tuition grants and come with generous travel/lodging stipends. The first scholarship is to the World Brewing Academy Concise Course in Brewing Technology, a two-week intensive program at Siebel in Chicago in November 2019. The second scholarship is to the World Brewing Academy International Diploma Course, a 12-week comprehensive course running from September to November 2019 at Siebel’s Chicago and Munich campuses. The Glen Hay Falconer Foundation is a non-profit organization created to commemorate and celebrate the life, interests, and good works of a well-loved and leading Northwest brewer. The mission of the Foundation is to contribute to the Northwest craft brewing community by providing opportunities for professional and aspiring brewers to further their knowledge and expertise. In 2019, the Foundation is offering two educational scholarships to the World Academy of Brewing at the Siebel Institute and one to the American Brewer's Guild. The Falconer Foundation has awarded 41 brewing scholorships since 2004. The Glen Hay Falconer Foundation produces the Sasquatch BrewAm, a golf tournament designed to appeal to all levels of golfers and beer lovers. The Fifteenth annual Sasquatch BrewAm will be held at McMenamins Edgefield in Troutdale, Oregon on July 26, 2019. Sign-up now for the Sasquatch BrewAm. The Foundation also receives donations from participating pubs in the Sasquatch Legacy Project where scholarship recipients join together to brew a specially crafted beer. Finally, private donations and independent fundraisers provide an important source of support for the Foundation’s brewing scholarship program. For more information on the Foundation or how to become involved in realizing its goals, please contact us. Passion, dedication, and creativity defined Glen Falconer's beers and his entire approach to life. Glen began his brewing career as an avid homebrewer and dedicated member of the Cascade Brewers Society, a clan of skilled homebrewers based in the Eugene area. As a professional brewer, Glen remained engaged and committed to his roots, providing sagely advice, recipies, and ingredients to his homebrewer community. 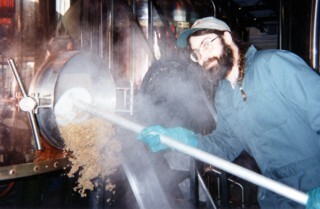 Glen assisted many professional brewers that relocated from Eugene, Oregon to areas throughout the United States as they began their professional brewing careers by making himself available as a human database of brewing techniques. In 1990, Glen followed his dream and pursued a professional brewing career, beginning at Steelhead Brewery in Eugene. Glen completed the Siebel Concise Course in Brewing Technology in 1994. Glen then refined his skills at the renowned Rogue Ales in Newport, Oregon, working side-by-side with his close friend and mentor John Maier, one of the most celebrated and respected professional brewers in the country. 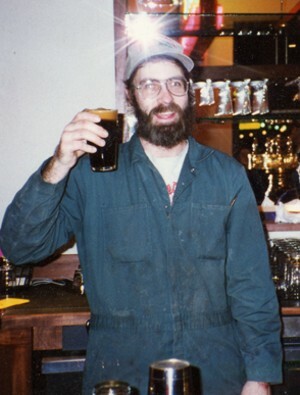 In 1996, Glen became head brewer at the Wild Duck Brewery in Eugene, providing six regular beers on tap as well as a wide variety of specialty ales and lagers each season, until his untimely death in 2002. The memorial service held at the Wild Duck to honor Glen attracted hundreds of brewers and friends from all over the country, amazing even his close friends and family at the amount of people his life touched and affected, all of whom were willing to travel vast distances at short notice to pay tribute to such a singular individual. Enlarging on the tradition of brewing, laughing heartily and embracing adventure fully represented Glen's life. While Glen won numerous professional craft brewing prizes and accolades, perhaps his finest accomplishment was the back-to-back Gold Medals received posthumously for his Auld Gnarly Head Barley Wine at the 2002 and 2003 Great American Beer Festival. 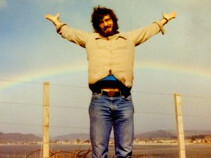 Glen had a virtually insatiable thirst for adventure, traveling extensively and experiencing cultures in Southeast Asia, Central America, Europe and the Caribbean. Glen enjoyed the outdoors with interests that included scuba diving, camping, and cycling. Glen was a great soccer fan, coaching young people in the sport for many years in Eugene. Glen could also be found each year at the annual Oregon Country Faire in Veneta, Oregon with a gleam in his eye, surrounded by old friends, family and new acquaintances during a festival created to celebrate the idiosyncratic nature of life.